SACRAMENTO, Calif. and WASHINGTON, D.C. /California Newswire/ — The merger should have been a spike in the end zone for Sinclair, but the refs stopped them at the 1st yard line for unfair play, says Calif. 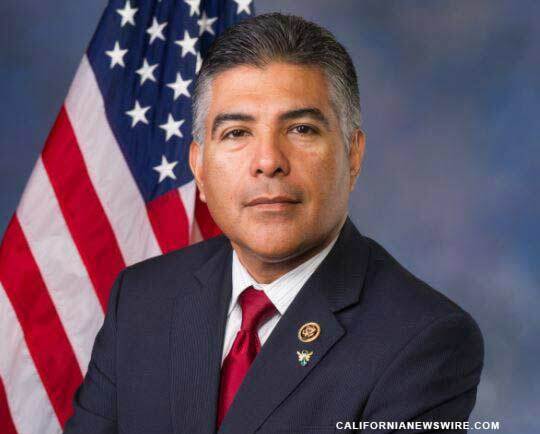 Congressman Tony Cardenas (29th District of Calif.). It must have been a real upset for Sinclair. But not for the American public. The end of the Sinclair-Tribune merger is a victory for our American Democracy and our local news. The collapse of the merger shows that the American people make a difference. I applaud all the advocates and organizations who spoke up, as well as FCC Commissioner Rosenworcel, who has been a dedicated voice of reason on this issue. Few thought this merger could be stopped. But today’s news proves that speaking up, participating in the process and asking the tough questions can make a difference. Sinclair media does not promote real local journalism, and this merger was destined to misinform communities everywhere. Sinclair’s “must-run” segments are not news. They are propaganda, where Sinclair executives in Baltimore force local anchors to say whatever political attacks they want Americans to believe. One example was a Trump-like “fake-news” attack against the media. Another forced local anchors to do a regular “Terrorist Alert Desk” just to scare people. Forcing local news to run these conspiracy theories and unhinged political attacks has no place in our democracy. The end of this merger is also great news for Los Angeles, where local television news station KTLA was set to be sold to Sinclair. KTLA is an institution in LA, and would have been forced to publish opinions handed down from people in offices more than 2,000 miles away. Those opinions do not represent the voice of Los Angeles, and do not represent California. For my part, I constantly questioned this merger from the beginning and called for the Federal Communications Commission (FCC) and the Department of Justice (DOJ) to block it. My colleagues and I have sent letters to the FCC, the DOJ and Sinclair, as well as held informative briefings to raise awareness here in Congress and with the public. And people listened. Together, the efforts of all the American people and organizations speaking out helped to stop this merger, and my office is proud to have played a part.